Once a research paper is submitted with Communications on Applied Electronics (CAE), it undergoes the CAE review and screening processes to assess the relevance and the importance of the submission. A brief explanation is provided to familiarise the authors with the pre and post publication processes involved. 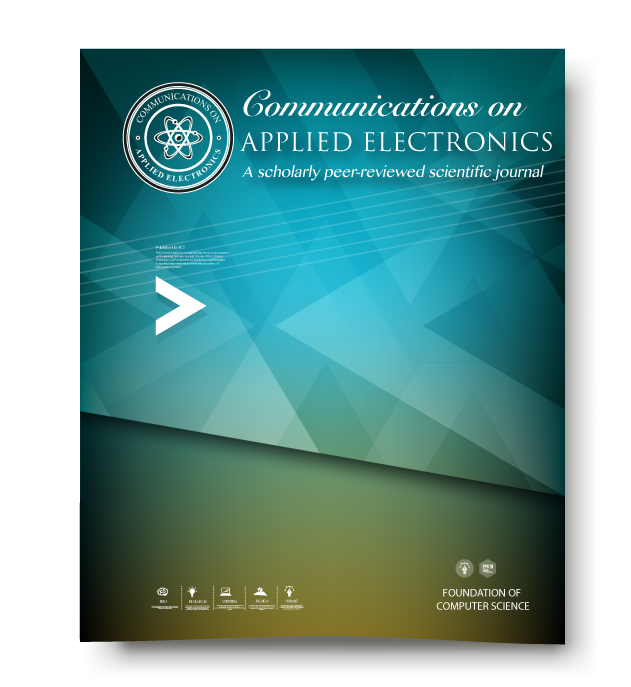 Author submits the manuscript with Communications on Applied Electronics (CAE). The submission must be in digitally submitted at editor@caeaccess.org. Once the paper is received with CAE, the manuscript is registered with the CAE Manuscript Tracking Systems (cMTS). It should be understood that the cMTS is shared with numerous international journals to eradicate any potential simultaneous submissions under the provisions of international publication protocols. CAE recommends authors to forfeit any simultaneous submissions with multiple journals. In case, the paper is previously presented in a conference, details regarding the same must be mentioned at the time of submission. The editorial board assesses the article whether the articles pertains to the domains dealt by CAE. If no, the article is rejected in the preliminary stage and the co-authors are intimated regarding the same. If yes, the article proceeds to Stage 3. The article is allotted to two domain experts/ referees who assess the contents of the manuscript. The review reports of the referees are submitted with the CAE editorial board within the stipulated time frame. On receipt of the referee reports from the referees / domain experts, the article thereafter proceeds for the peer-review. The peer-review is a mandatory component of the review process. The peers are usually the best reviewers to assess a research paper since they are usually active in research and development activities in the related domain. CAE also expects the peers to identify any potential plagiarism attempts. The manuscript is simultaneously subjected to a plagiarism checker. However, in most cases of review, the plagiarism is manually checked by subjecting certain random portion of the manuscript to search engines. In case, any instances are found similar and no reference (or acknowledgement of the original content) is found in the submitted manuscript, the paper is immediately tagged as plagiarised content. The same is rejected from any further processing with CAE. Based on the reviews and grades provided by the domain experts/ referees and the peer-reviewers, the papers (the set which passed the plagiarism check) are tagged either “Accepted” or “Rejected”. The rejected paper intimations are sent to the concerned authors along with the suggestions which need to be addressed prior to any re-submission of the same paper. The accepted paper intimations are sent to the concerned authors along with the review comments which need to be addressed while submitting the camera-ready version of the accepted paper. Once receipt of the camera-ready papers from the authors, the papers are dispatched to the CAE Quality department for typecasting and layout compliance check in accordance with the CAE paper templates. Meta-data such as BibTex et. cetera. are generated and dispatched to indexing partners such as Google Scholar et. cetera. The formatted camera-ready papers are thereafter duly published in the new edition of the journal. The published are available in both digital and print version globally.